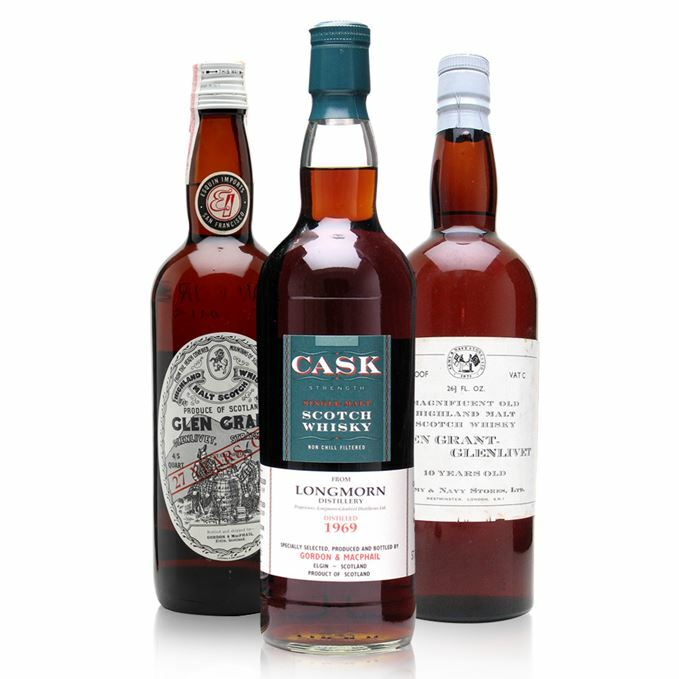 Our chief engineer Dave Broom brings you a trio of rare Speyside whiskies in this latest rare batch. Broom begins with a 10-year-old Glen Grant bottled by 19th-century British department store Army & Navy. The store sold goods for military officers around the world, and went on to become part of House of Fraser in 1975. 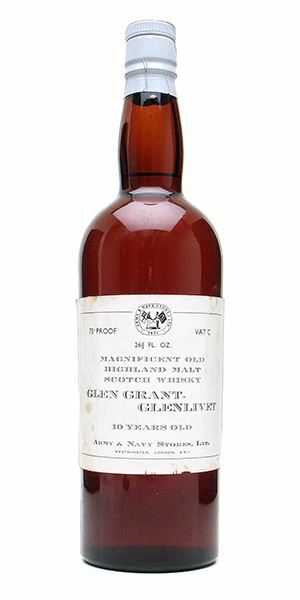 It is believed this particular whisky was bottled in the 1950s. 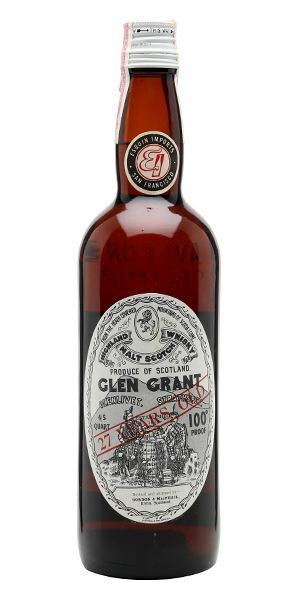 Another Glen Grant expression follows, this time bottled by Gordon & MacPhail having been matured for 27 years in Sherry casks. And to wrap up the latest batch of Speysiders, a Sherry-matured Longmorn 1969. 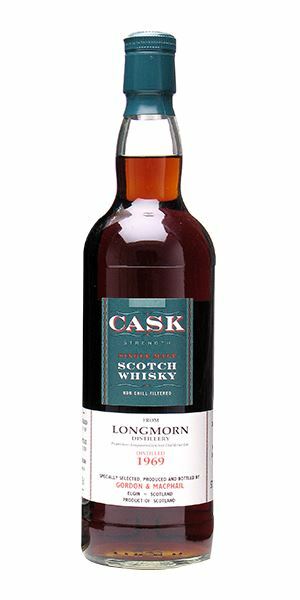 Bottled at cask strength by Gordon & MacPhail, the whisky was released to celebrate the 10th anniversary of The Whisky Exchange in 2010. Significant nutty Sherry influence with some ‘old bottle’ elements. This then moves into squashed berries, apple core and an oiliness suggestive of its vintage. Has brightness and depth, simultaneously. Quite light and soft with cinnamon, then apple, before the well-balanced Sherry elements come in. As it opens, so this element begins drifting towards the hazy blue berries of Muscatel. Rounded, graceful and deep, with touches of smoke. Bottled in the 1950s, so you do the maths as to when this was distilled. Remarkably vivacious still. A night in a darkened tabanco in Jerez. Old bottle funkiness to open with and some coal-like smoke in the background, and then cheese rind, tahini, touches of melon. It then shifts gear into leather-bound volumes in a library before relaxing, after a considerable time, into amazing, waxy rancio. Immense fruit, whose mix of berries and dry savoury elements introduces an almost vermouth-like element. The smoke sneaks along beside this next to cinnamon (balls this time) and camphoraceous elements. Light in structure. In time, tropical fruits begin to show. Highly complex, and elegant, with the patina of age. A classic old-style, high-end Italian delicatessen. Colour of Waterman Absolute Brown ink. Heavy Sherry cask elements (rather than the Sherry wine of the Army & Navy Glen Grant) with attendant bitter chicory, chocolate and a little touch of blackcurrant cordial, alongside gingerbread and raisin. There are some fruits in here, albeit black in hue. Their softness manages to push back against some fairly assertive tannins. Rich chocolate and fruit cake. Hints of smoke and some bitterness. A statement whisky – and, while this Sherry bomb is better than I imagined it would be on the nose, the balance is ultimately too heavily skewed towards the cask. Listening to Wagner while beating yourself on the head with a stave. Rare Batch 19 05/04/2017 Two Scotch and one Japanese, featuring a 1971 North of Scotland, 1949 Strathisla and 1979 Yamazaki.